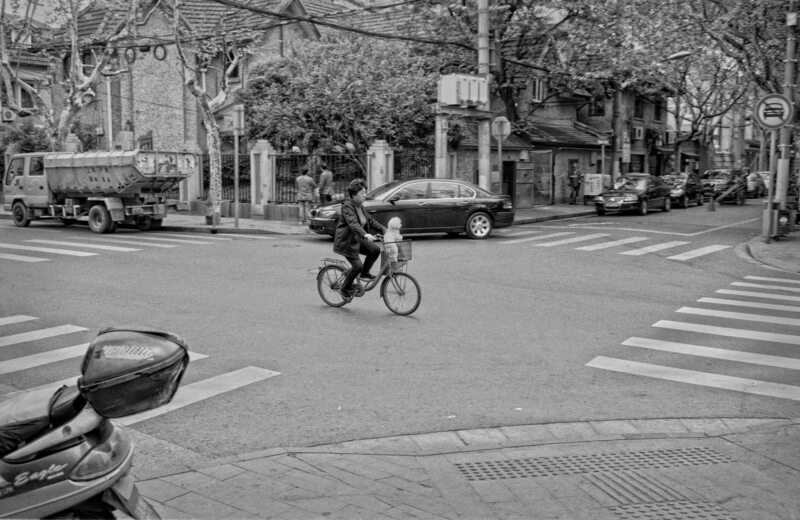 Image taken in the French Concession of Shanghai; China using a Leica M6 with Zeiss 35mm Lens and Ilford Pan 100 Film. Dog carriers are very popular here in Shanghai, you see special push chairs, dog strollers, hand bags and bicycles specially made for you to carry and show off your latest accessory sorry I meant dog 🙂 It must be a massive industry because even the top luxury brands are joining the bandwagon. Your pictures make China seem an even more interesting place to visit! 🙂 Thank you Lois , it is an interesting place , that’s for sure.